I’ve got a smile makeover disaster. I have three different colored teeth right now. First, my ugly natural yellow teeth, then I had four porcelain veneers placed. Three of them look okay, but one of them is an uneven gray color. I paid a lot of money hoping to get a beautiful smile, but now I feel ridiculous with three different colors of teeth. I don’t even smile. My dentist said she’d make the gray one thicker to even out the colors, but I’m not sure how that will look and I’m losing confidence in her. What do you recommend? Yikes! I can understand why you are unhappy. It sounds like you went to your family dentist who was in over her head. First, don’t let her make the graying veneer thicker. In fact, I think you need to ask for a refund and start over. If I’m right about the graying veneer you have a good case for one. Because it is a splotchy gray, I think there isn’t a good bond between the porcelain veneer and the tooth. This is bad for your teeth. It allows things to get between the two, leaving you vulnerable for decay. When you have this re-done, the first thing the dentist will have you do is whiten your teeth. This will keep your adjacent teeth from being an obviously different color. This is why your natural teeth look so obviously different from your four porcelain veneers. It is imperative you have an excellent cosmetic dentist to re-do your porcelain veneers. Unfortunately, doing beautiful smile makeovers aren’t taught in dental school. Dentists have to invest time in getting the training they need. Even with training, as with every art, some dentists have a more artistic eye than others. If you want the best cosmetic dentist, I’d go to aacd.com and look up an accredited cosmetic dentist in your area. AACD accredited cosmetic dentists are the top cosmetic dentists in the country. They’ve passed stringent oral and written exams. Additionally, they have to provide visual evidence of a large number of cases they’ve done in order to show they are both technically skilled and artistic. 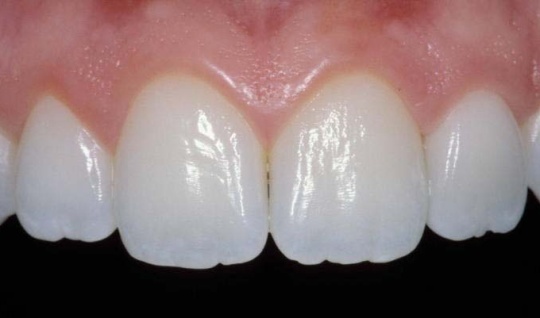 Which Dentists Do CEREC Crowns on Front Teeth? I keep hearing no CEREC crowns on front teeth, but surely there have to be dentists who do it. Is there a way to go about finding those dentists? Can you get beautiful crowns from a CEREC machine? Great question! You can certainly find a dentist who will give you a CEREC crown on your front teeth, but what you want is a dentist who can do it well. The first thing you need to look for is a top-notch cosmetic dentist. The best of the best are dentists who’ve reached accreditation level with the American Academy of Cosmetic Dentistry. AACD accredited dentists are among the top 1% of dentists in the country. If it’s milled by machine, why does the dentist need to be so artistic? Another great question. It’s specifically because they’re milled by machine. 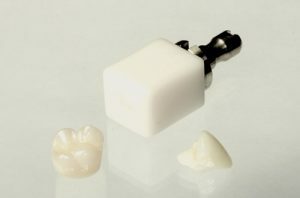 Until recently, CEREC machines would only mill from a single block of porcelain. There are new machines which can mill with gradients. 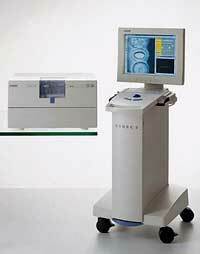 But, many dentists just finished investing in the older CEREC machines and aren’t able to scrap it for the new one. They don’t come cheap. That doesn’t mean they can’t create you a gorgeous crown. 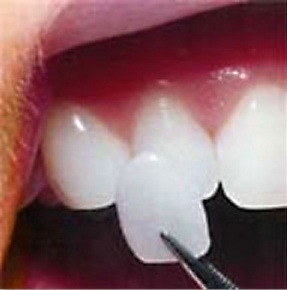 With expertise in color theory, they can create the gradient with the way they color the tooth. But again, only the best of the best can do that. When you’re talking about the most visible part of your smile, you want it to be as beautiful as possible. Once the crown is created, the color on it cannot be changed. 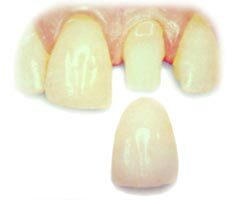 You not only want the tooth to look natural and beautiful, but to match the surrounding teeth as well. So, if your teeth are in need of a little brightening, the time to do it is before your crown is created. Teeth whitening is a quick and easy way to give your smile a boost. If you want, you can even do it in just one appointment using in-office Zoom Whitening. 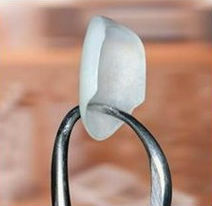 Once you have the color you’re pleased with, your dentist can match the CEREC crown to it exactly. If I have a scratch on a porcelain veneer, does that mean I have to have it completely re-done? I asked my dentist about replacing just the one and he said for them to match I’d have to re-do the whole thing. I can’t afford that so I didn’t know if there were any other options. It may be that your dentist can’t match a single porcelain veneer to the rest of them, but an expert cosmetic could. Some dentists, fairly new to cosmetic dentistry, are still developing their color skills and techniques. Because of that, the only way they can assure a uniform look to your porcelain veneers is by doing the whole set together. You have a few choices here. You can allow your dentist to re-do your entire set, which will be quite pricey. I wouldn’t recommend that even if you had the money though. It just seems a waste of good resources. Another option, however, is to have just the single veneer replaced with a dentist who’s qualified to do so. What you’ll want to do is find a dentist who’s AACD accredited. They’ll have the skills necessary to match a single veneer. Something your dentist may not even be aware of is there’s a way to polish the veneer to remove the scratch, without having to replace it at all. I can write out the procedure for you to take to your dentist or you can go to a dentist who already knows the diamond polishing technique. If you want your dentist to do it, that’s fine. Just make sure you give him these instructions. Otherwise, he might just buff it which will take off the glaze, leaving you with a matte finish. Not only is that unattractive and won’t match your other teeth, but removing the glaze makes it susceptible to staining. My suggestion would be for him to get Brasseler’s Dialite porcelain polishing system. It will include diamond polishing instruments and polishing pastes. He’ll need to end with the ultra-fine diamond polishing paste. that will give you back the glossy finish you need to protect your veneer.